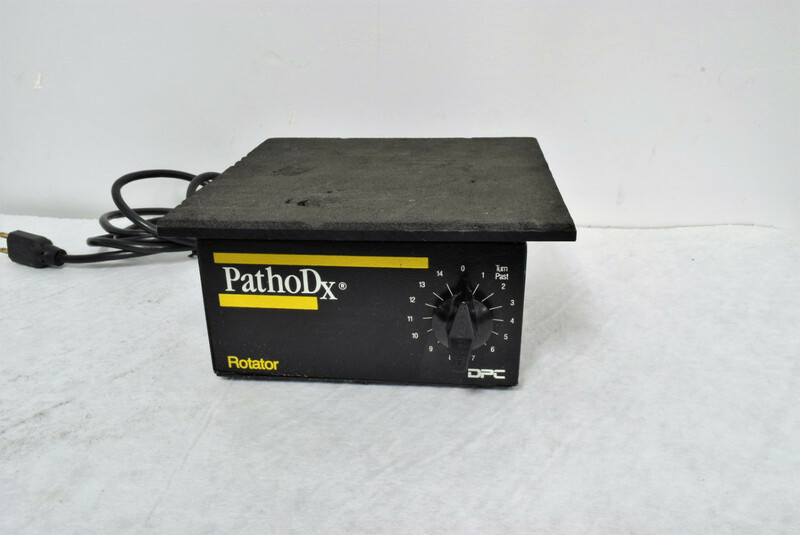 DPC PathoDx Rotator Model SR-1 Orbital Rotator . New Life Scientific, Inc. Technician tested and confirmed functional. This is a very simple orbital rotator with one preset speed and timer. A piece is broke under the platform but this does not affect the functionality.